Check out the latest IAIA enews message, sent on 18 February 2016. 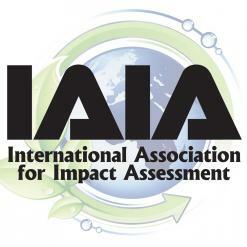 IAIA16, “Impact Assessment: Resilience and Sustainability,” will be held 11-14 May 2016 in Aichi-Nagoya, Japan. For more information, visit the conference website. Be sure to include #iaia16 whenever you share information about IAIA16 on social media. Student Fee Waiver program: Applications for the student fee waiver program will be accepted through 11 March. This program allows up to 20 students a waived conference registration fee in exchange for providing in-kind services on-site at the conference. Program details and application instructions are posted online. Technical visit updates: Space remains in the following technical visits. Visits that do not meet the minimum number of participants by 14 March will be canceled, so please register by that date if you are interested in participating in a visit. Check out the full visit descriptions on pages 14-15 of the preliminary program. Accommodations: Meitetsu World Travel Inc. offers IAIA16 delegates a convenient hotel reservation system for booking the hotels suggested by the local organizing committee. A variety of hotel types and rates are available through their system, and there are no booking fees. The booking system will be available through 31 March. However, the hotels will begin releasing room blocks at the end of February, so they suggest making your reservations immediately. For reservation instructions and a link to Meitetsu World Travel’s system, please visit the Plan Your Stay page. If you need assistance regarding your reservation, please contact Meitetsu World Travel directly; IAIA HQ and the local committee are not responsible for hotel reservations. Sponsorship opportunities: IAIA is currently seeking sponsors for the IAIA16 conference. Download the Sponsorship Opportunities brochure in English or Japanese on the IAIA16 sponsorship site to find out the various ways your company can reach out to over 700 impact assessment professionals and decision-makers from 80+ nations. The IAIA special symposium "Water and Impact Assessment: Investment, Infrastructure, Legacy" will be held 31 August - 2 September 2016 in Lincoln, UK. Check out the first announcement now, and stay tuned for the call for abstracts, preliminary program, and more to be posted in the coming weeks. Interested in similar posts? Board President Yaw Amoyaw-Osei wrote last month about “Smart IA reporting," and stay tuned for new posts on IA topics to be shared each month. As our News page grows, we will welcome guest posts from IAIA members as well. Contact shelli@iaia.org for information. While there, check out the other FasTips on HIA, Mitigation, Biodiversity Assessment, and more. Not yet receiving the monthly e-news? Contact info@iaia.org to be added to the list!